T-Mobile has a deal going on for those interested in switching their family of four to the nation's third largest carrier. You can pay only $40 per month per line for unlimited talk, text 4G LTE data, and a Samsung Galaxy S9 for each family member. Here is how this works. Subscribing to the carrier's Essentials plan, you'll pay $30 a month per line for unlimited talk, text and data. AutoPay is required, or else the price goes up to $35/month per line. Video streams at 480p and tethering is done at 3G speeds. After consuming 50GB of data in a month, data speeds could be throttled during times of network congestion. Those taking advantage of this deal must sign up for four lines, no more, no less. As for the Galaxy S9, each member of the family will need to trade in a qualifying phone in good condition. Acceptable trades include the Samsung Galaxy S8, Galaxy Note 8, Apple iPhone 7, iPhone 7 Plus, iPhone 8, iPhone 8 Plus, LG V30, LG V30+ and the LG G7 ThinQ. Trading in an acceptable handset results in a $360 credit paid out as 36 monthly bill credits of $10 each. That cuts the price of the Samsung Galaxy S9 to 36 monthly payments of $10. 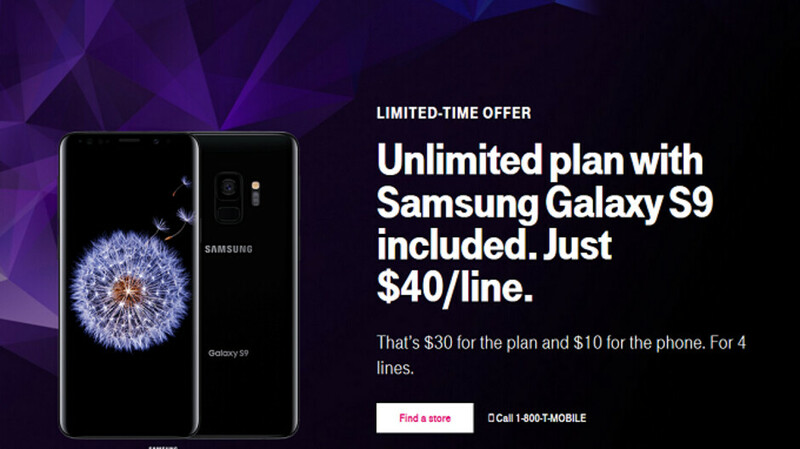 The bottom line is that for $160 a month, a family of four gets unlimited talk, text and 4G data, and each family member receives their own brand spanking new Samsung Galaxy S9. That works out to $40 per month per line. Other conditions apply, including taxes and fees. And each of the four Galaxy S9 handsets requires the purchase of a $25 SIM starter kit. *Video streams at 480p and tethering/hotspot is 3G LOL good deal if you want garbage service.